What is a beneficiary feedback mechanism? Many types of organisation use feedback from users or clients to improve their products and services. Software companies, for example, frequently release new products in ‘beta’, soliciting feedback from a small group of expert users before releasing their products on wider markets. In the international development sector, in spite of efforts to design, monitor and evaluate interventions, there remain many ways in which interventions may fail to address specific needs of their target groups or to fit precisely with their local contexts. 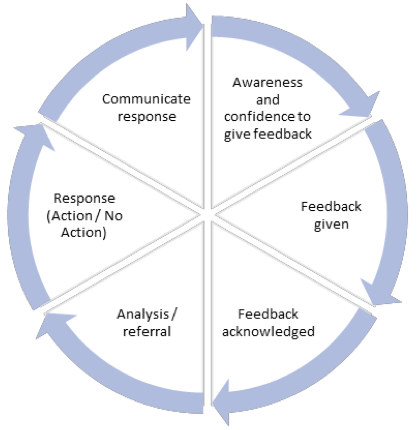 A beneficiary feedback mechanism is a tool designed to solicit and respond to the views of recipients of aid. By responding to the views of aid recipients, organisations can improve or evaluate their projects and be accountable (or support accountability of third parties such as government) for the implementation. Mechanisms used in this pilot included suggestion boxes, SMS messages, focus group discussions, public forums, mobile voice calls and individual one-to-one outreach with clients.